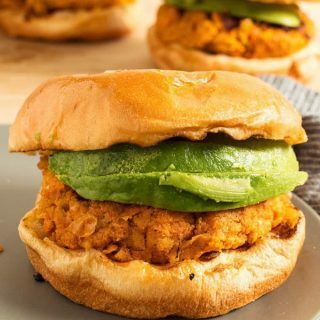 These Vegan Sweet Potato Garbanzo Bean Burgers are easy to make and great for your end-of-summer parties. Or use a grill pan and make them year-round! Labor Day is just around the corner. For all of you vegans out there, don’t feel like you have to survive on corn on the cob while everyone else is munching on burgers. I have just the burger recipe for you! Last year, we had a big Memorial Day barbecue and our niece brought along her best friend. Lo and behold, her friend was a vegan and we were completely unprepared. The hostess in me felt terrible because I didn’t have anything vegan in the house. I ended up cooking some frozen vegetables and a sweet potato for her. I decided that I wouldn’t let that happen again so I’ve whipped up some delicious vegan summer recipes that everyone, vegan or not, will enjoy. I decided to pull out my trusty grill pan to make these vegan burgers but you could easily make these on the outdoor grill as well. I liberally brushed I Can’t Believe It’s Not Butter! It’s Vegan spread onto the grill pan to avoid any sticking. Not only does It’s Vegan have unbelievable taste, it is also made from real, simple ingredients—just a blend of plant based oils, purified water and a pinch of salt. It’s also gluten-free and contains no artificial flavors or preservatives – the perfect companion to my burgers and buns. Lately, we have been eating a lot of sweet potatoes so I had some cooked in the refrigerator. If you don’t, you can easily roast one or peel/cut and boil one. I mashed one cooked sweet potato with garbanzo beans together in a large bowl and then added the remaining ingredients. The texture is very similar to black bean burgers – a little soft but perfect for molding. I made 6 medium size burgers with this recipe but you could make 4 large burgers too. Once the grill pan was hot, I placed the burger patties on the pan over medium heat. Five to six minutes on each side and they were ready to eat. I also used It’s Vegan to coat the buns. A nice, toasty bun is a delicious bun. I placed each bun face down on the grill pan for a few seconds and then my burgers were ready to be prepped. I kept it simple and just topped the burger with fresh avocado. You could also add the Grilled Lemon Garlic Sauce I made for my Veggie Kabobs – that would pair nicely! Now all I need is for my niece’s friend to come over so I can treat her to this vegan burger! 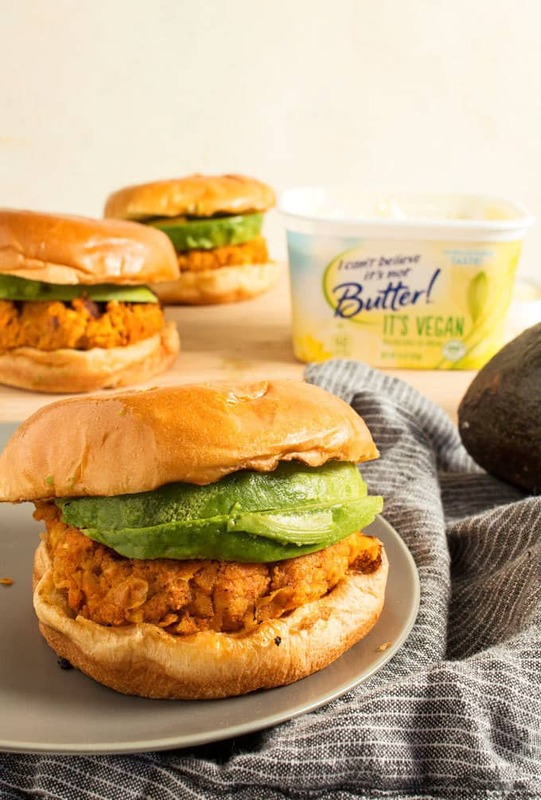 If you’re looking for more vegan recipe inspiration, check out more I Can’t Believe It’s Not Butter! vegan recipes. Want more? You can also enjoy the unbelievable taste of I Can’t Believe It’s Not Butter! 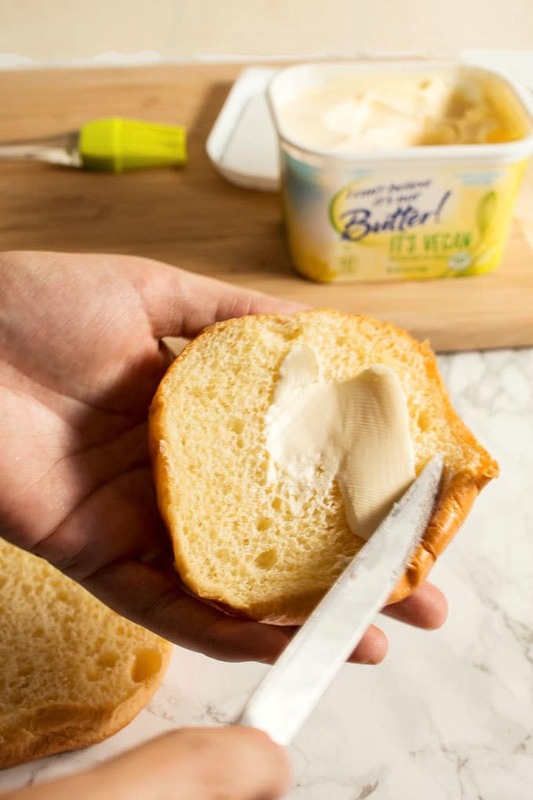 It’s Organic buttery spread. Looking for more sweet potato recipes? 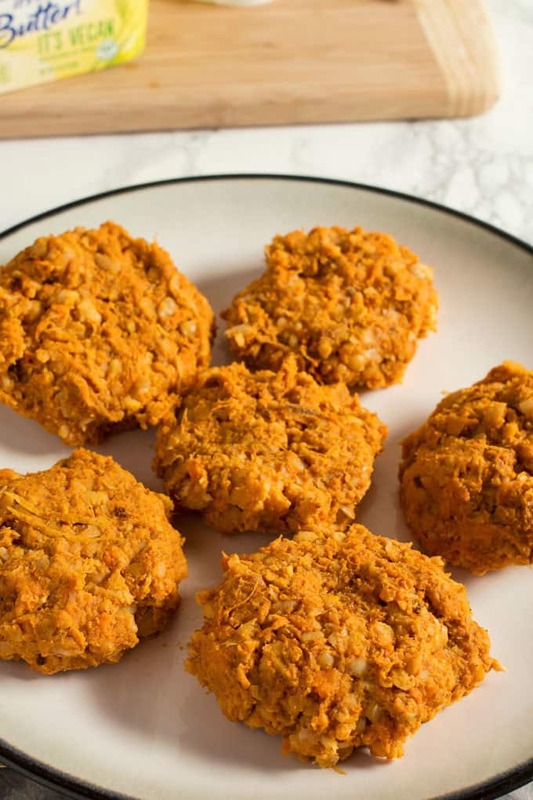 Try these sweet potato pancakes! 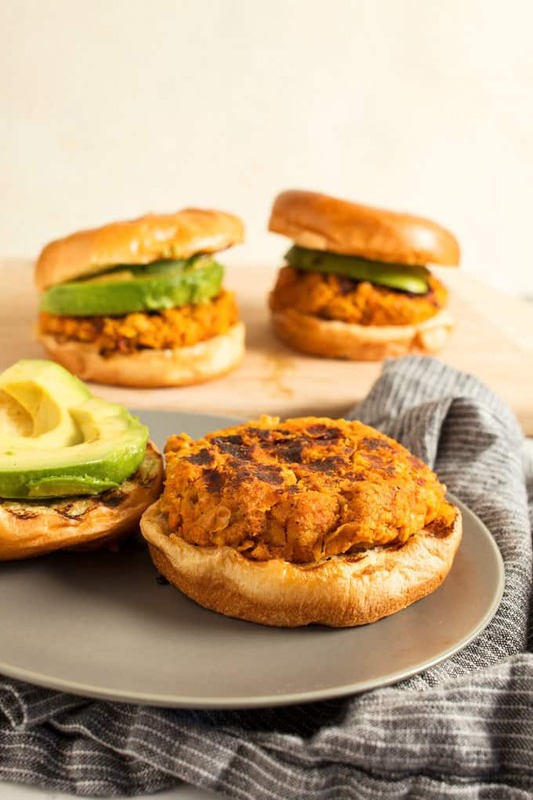 These Vegan Sweet Potato Garbanzo Bean Burgers are easy to make and great for end-of-summer get togethers. Or use a grill pan and make them year-round! Mash the sweet potato and garbanzo beans in a large bowl. Fold in the remaining ingredients until well combined. Then form the sweet potato mixture into 6 patties. Melt one teaspoon of I Can't Believe It's Not Butter! It's Vegan in a grill pan over medium heat. Place 3 patties on the grill pan, cooking each side for 5 minutes or until crusted. Remove from heat and repeat with the remaining 3 patties. 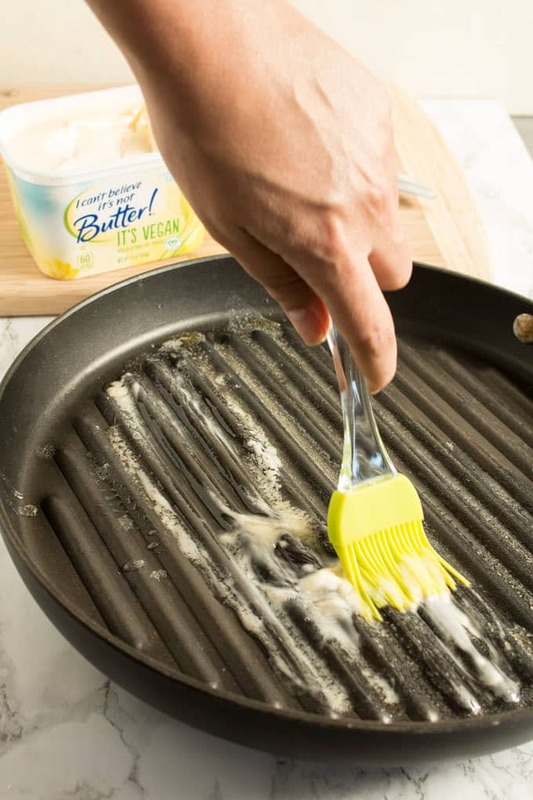 Use the remaining teaspoon of I Can't Believe It's Not Butter! It's Vegan to coat each side of the 6 buns. Place them on the hot grill pan for 15-20 seconds, then turn over and toast the opposite side. 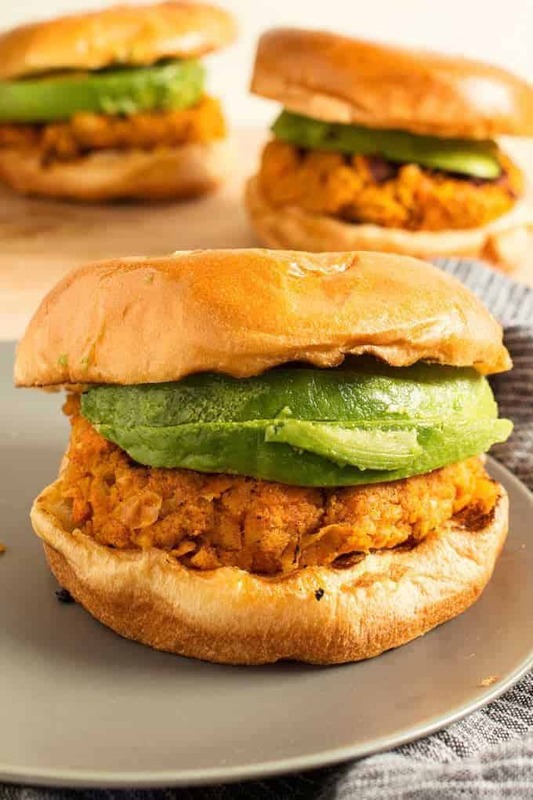 Serve each sweet potato burger with avocado slices. If making 4 burgers, cook each side for an additional 1-2 minutes. What a great burger recipe! I love changing up burger night! I love the idea of sweet potatoes and beans together! Never thought of it before! This burger looks so yummy! I adore veggie burgers and I’m definitely going to try this! I really need to get back to eating meatless and serving more legumes. I will definitely try this recipe! These look delish! 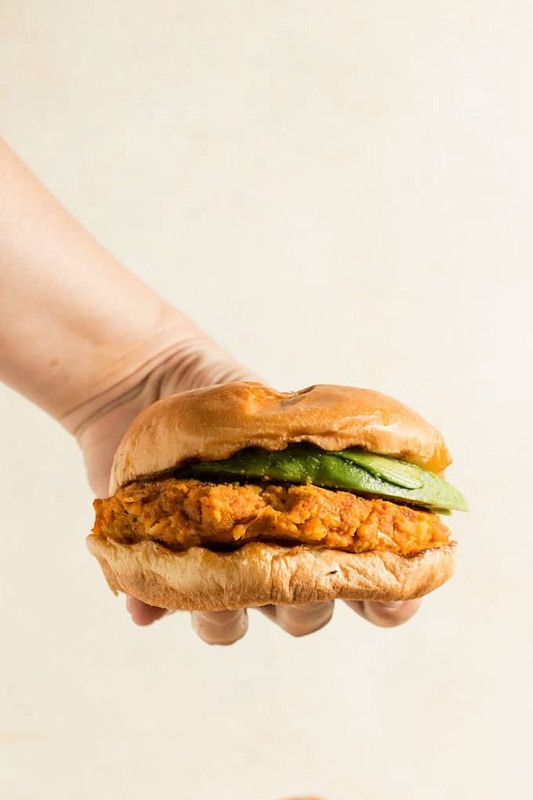 I have not tried sweet potato burgers yet … they are on the list! Perfect summer or fall dish! I’m always up for meatless burgers! These sound incredible! I am drooling over your photos! This sounds like a perfect meal to enjoy! Thanks for sharing at Fiesta Friday party and have a lovely weekend! Ohhh I have to have them. Sounds great, looks fantastic. Thank you so much for sharing the recipe. Will be on my table as soon as possible.